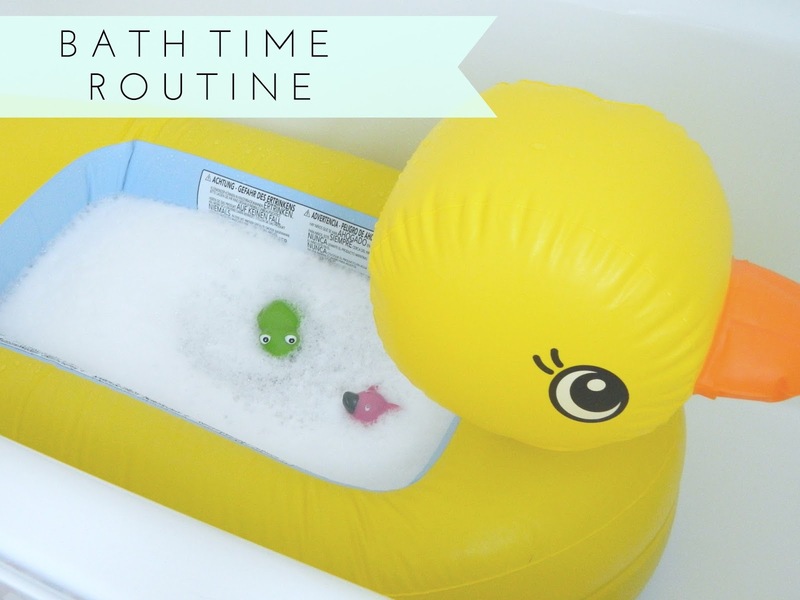 The Munchkin Yellow Duck Bath was purchased from Amazon and is designed for babies age 6-24 months. I bought it as I thought Arthur would enjoy being able to sit up and splash around safely. It's inflatable, so you need a little lung power to blow it up and it comes with one of those White Hot Safety Discs so you can make sure the water isn't too hot. I tend to just dip my elbow in to check the water temperature before putting Arthur in though. What I love about this bath is that it's travel-friendly. 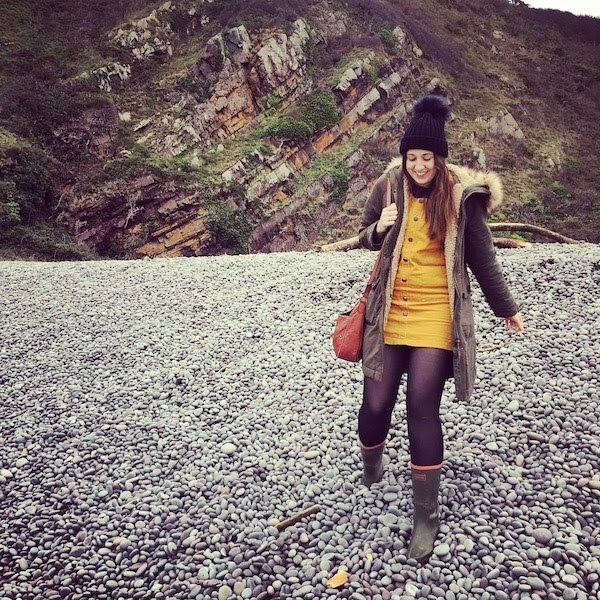 I took it with us on our Northumberland holiday to use in the bath in our cottage but it would be particularly useful if the place you were staying only had a shower, as you could fill it up with a little water and pop it on the bathroom floor if you needed to. It's one of my best baby buys so far and though it's unlikely to last him until he's two (as suggested), for £9.95 I'd happily just get a few month's use out of it! Before I start washing Arthur, I give him time to have a little splash about and play with his toys. 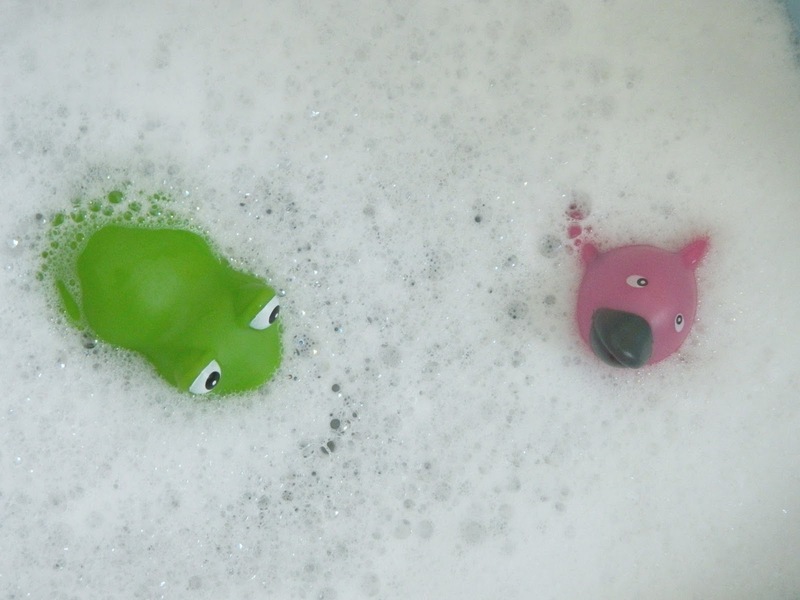 I spotted these cute Bath Buddies at the till at Dunelm Mill and had to throw them in the basket! They were super cheap at £2.99 but you get 10 little characters and they're lovely and colourful. Arthur loves squeezing the water out of them and I make them do all sorts of little dances for him, whilst singing songs from The Little Mermaid in my best singing voice...as you do. Once Arthur's had a few minutes play, I use a soft flannel to wash him. Anyone else feel like a super hero when they manage to wash their baby's neck? Trust me, it's a challenge! 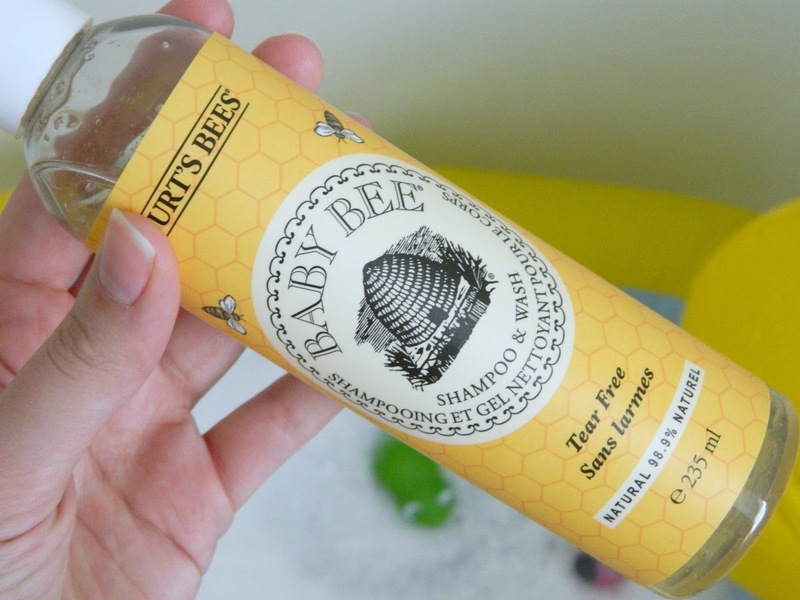 I use various different natural, kind-to-the-skin products in his bath, including Little Bunnies and Earth Friendly Baby but at the moment we're using the Burt's Bees Baby Bee Shampoo & Wash (£7.99). It smells absolutely divine and leaves both his hair and body lovely and clean. I love that it is made from natural, plant-based ingredients and doesn't contain any nasties. Burt's Bees is also a cruelty-free brand, so I'm more than happy to spend money on their products! After his bath, I wrap him up in a towel and we have a go at cleaning his teeth. Arthur's fascinated by his toothbrush and enjoys the whole experience so much that he doesn't like having to put the toothbrush back! I started the whole teeth cleaning process as soon as his first tooth appeared, as I wanted him to get used to it as part of his daily routine. Once his teeth are clean and he's nice and dry, I usually use some form of moisturising product on his skin. 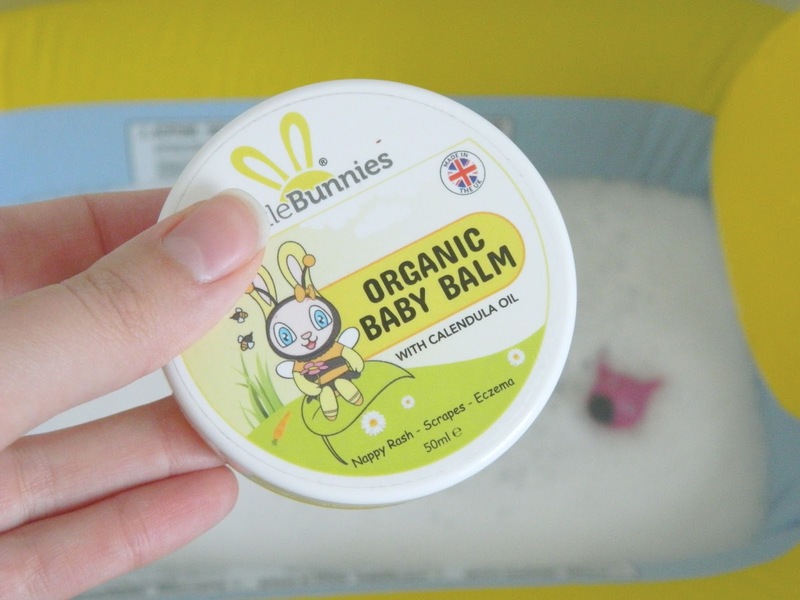 At the moment I'm loving the Little Bunnies Organic Baby Balm. It's easy to massage into the skin and leaves it feeling super soft, just as baby skin should be! I've reviewed the entire Little Bunnies baby skincare range, if you fancy learning more about it. Again, it's a cruelty-free baby brand, which is really important to me. After he's bathed, moisturised and in his pyjamas, we tend to cuddle up together, whilst I read a bed time story. Arthur loves the glittery pictures in the BusyBugz books and I also love the stories from the Snuggle Up, Little One collection. Story time is followed by a breastfeed and then I put him down to sleep in his nursery. This is a fairly new routine for us, as I was reluctant to part with him at night time but so far, so good! I'll keep you posted. What are your favourite baby bath time products? 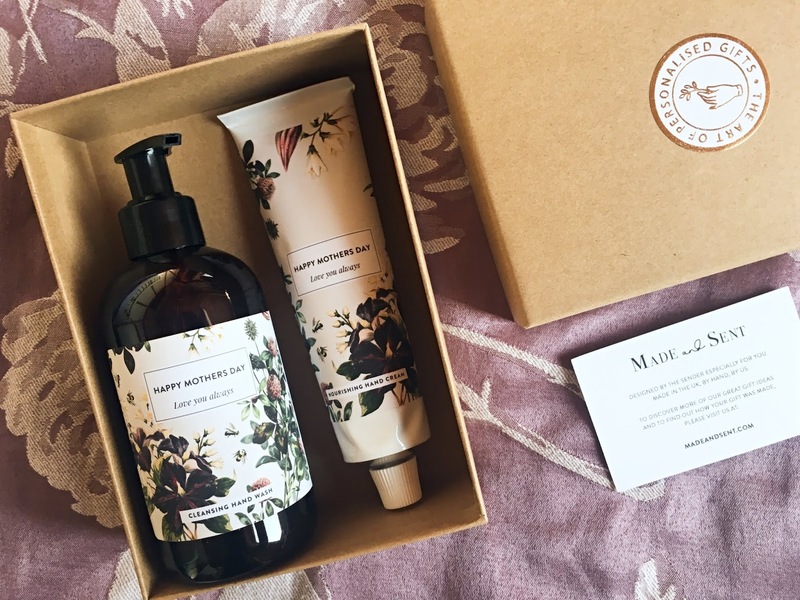 AmaWrap Re-Visited: A Mama Holiday Must-have!